Newly renovated kitchen for 2019. Photos coming soon! 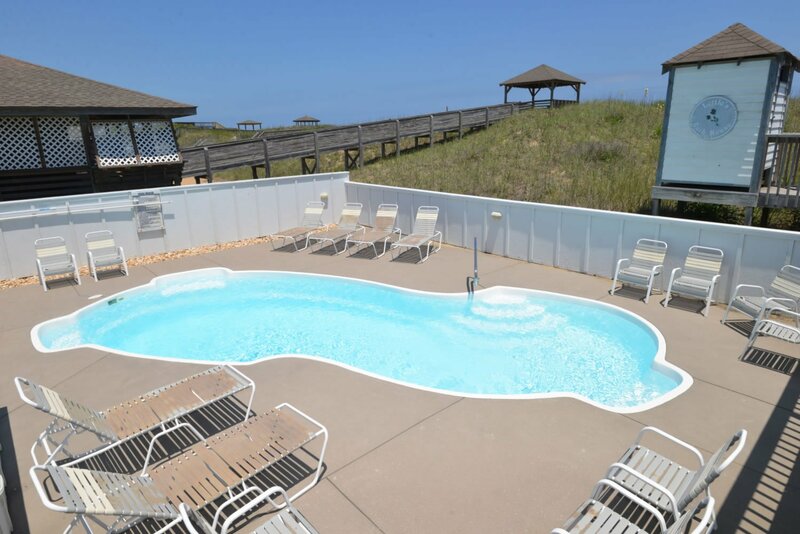 "Miller's Cottage" is a terrific Ocean Front home that combines the best of Outer Banks charm w/ amenities & features you expect while on your vacation retreat. 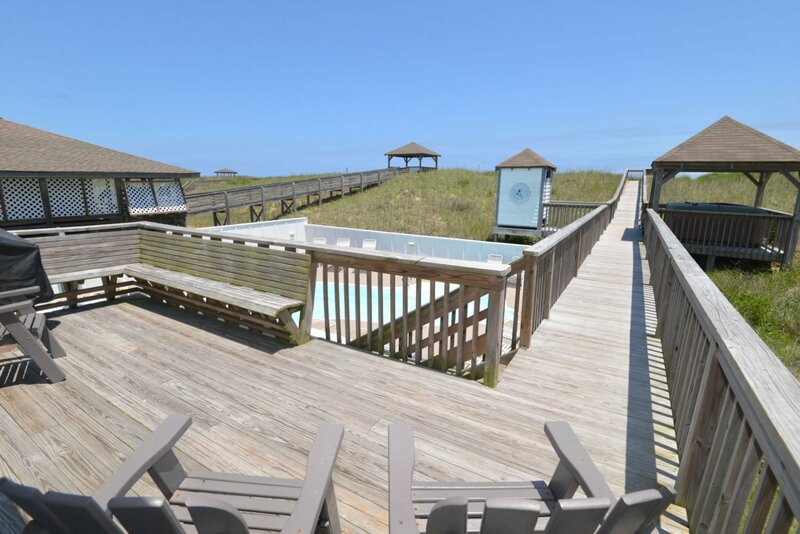 The Private Swimming Pool will be a focal point for children & adults alike & the beautiful beach is just steps from your back door. 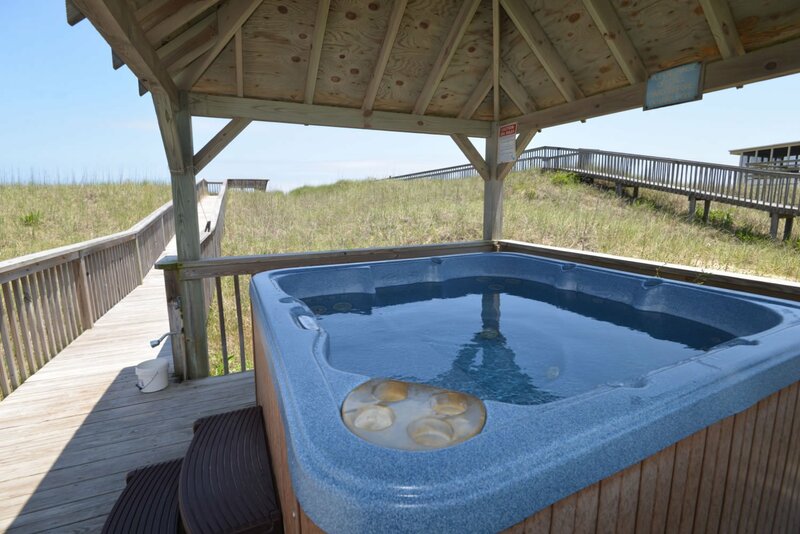 Relax in the Hot Tub or challenge your friends to a game of pool. This home is spacious & lovingly cared for to ensure your comfort while you are here. 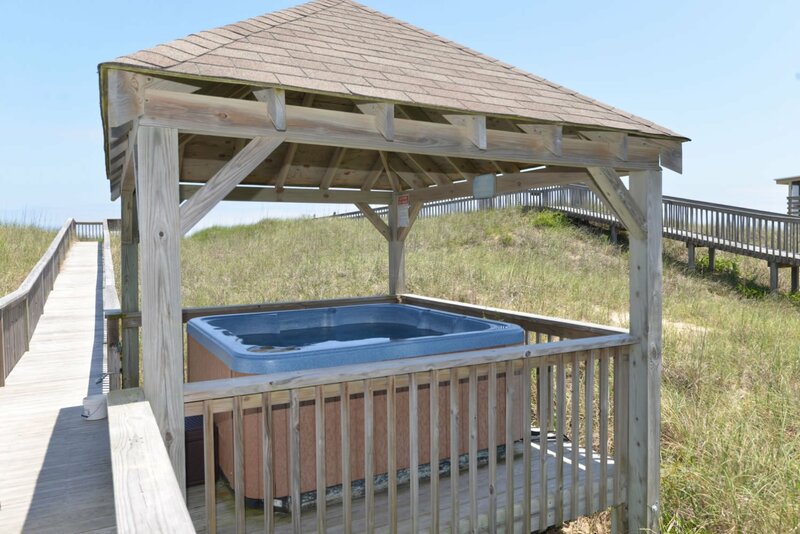 OCEANFRONT Lovely decor & very comfortable, this charming Outer Banks Beach Home features beautiful Hardwood Floors, Tile, & Tongue & Groove Pine Walls throughout. 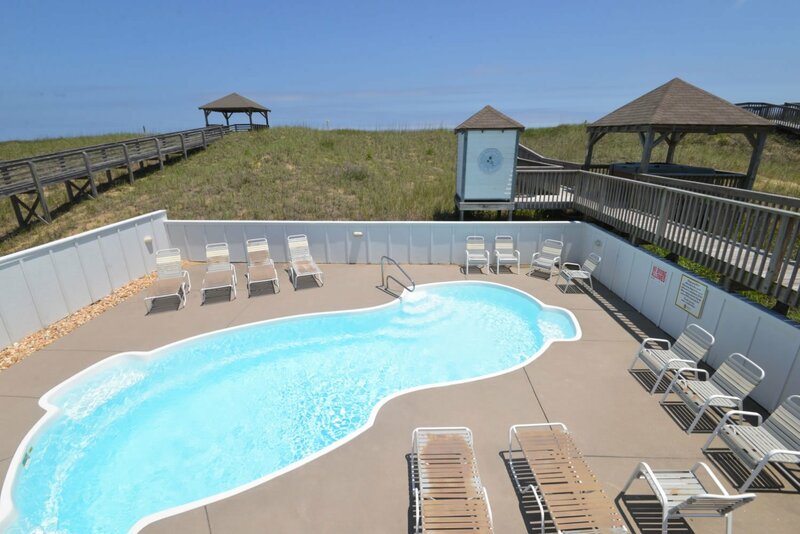 Centrally located, this is a great choice for your Outer Banks vacation. You can even bring the family dog! 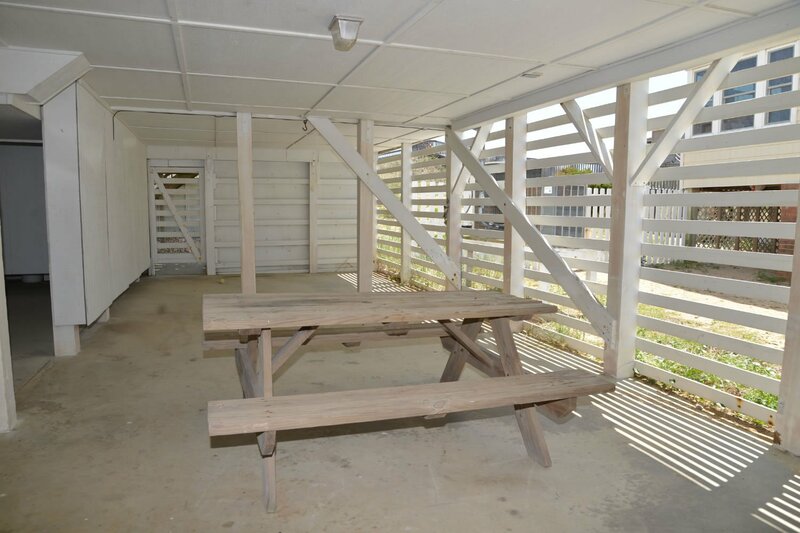 Ground Level: Ample Parking, Steps to Entry, Under House Sitting Area w/Picnic Table, Enclosed Outside Shower, Half Bath (Commode & Sink), & Private Swimming Pool. 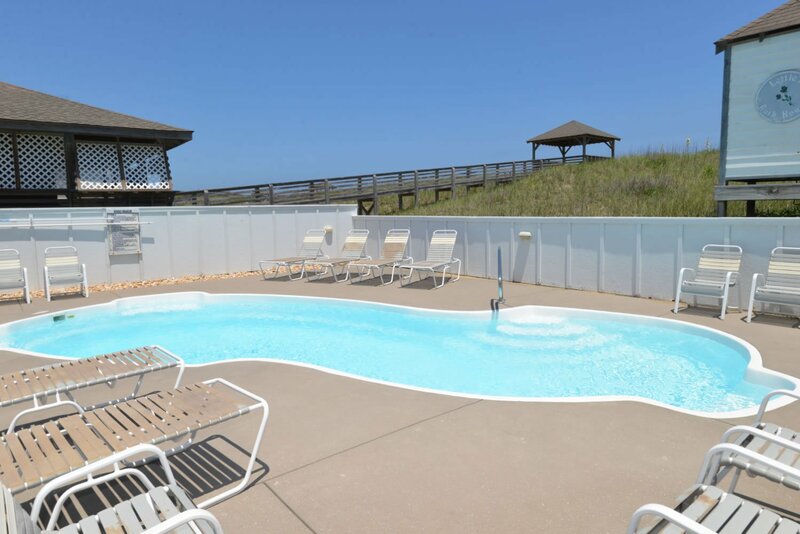 Mid Level: Living Room w/TV & DVD, Dining Room, Kitchen w/Breakfast Bar, Utility Room w/Laundry,Game Room w/ Pool Table, Flat Screen TV & DVD, 3 Bedrooms (1 w/King & Flat Screen TV & 2 w/Queens & Flat Screen TVs), 2 Full Baths, Covered Deck, Sun Deck, & Walkway to Beach w/Dune Top Deck & Gazebo w/Hot Tub. 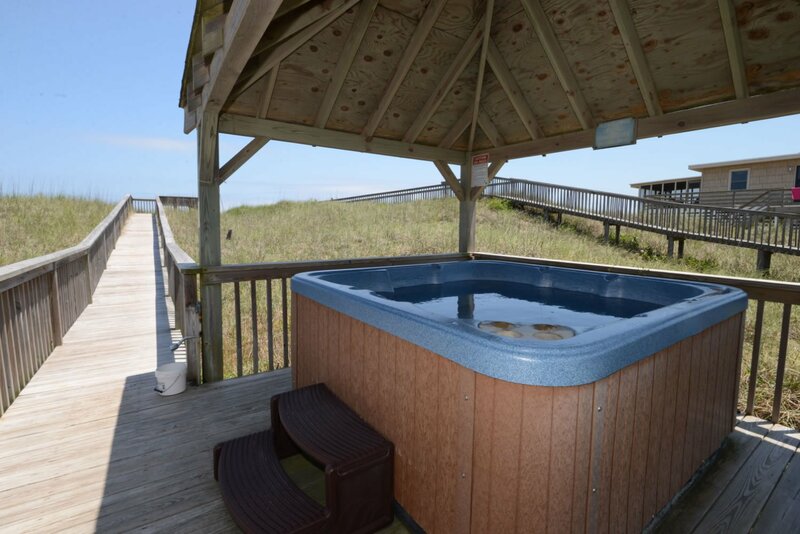 Top Level: 4 Bedrooms (2 w/Kings & Flat Screen TVs, 1 w/Queen & Flat Screen TV, & 1 w/2 Singles & Flat Screen TV), 2 Full Baths, & Ocean Views! 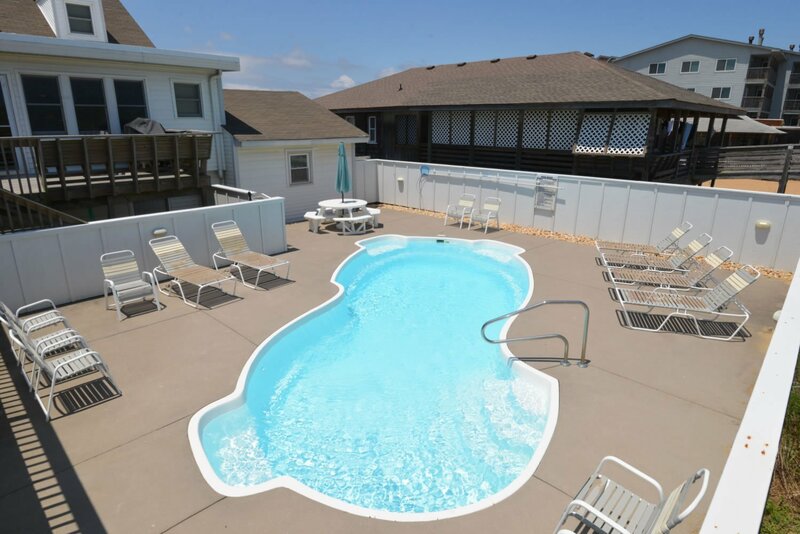 Features Include: C/AC & Heat, Washer, Dryer, Dishwasher, Microwave, TVs, DVD, Wireless Internet, Ceiling Fans, Gas Grill, Pool & Deck Furniture. Two Mature Dogs Allowed w/Fees. This is a Non-Smoking Unit. 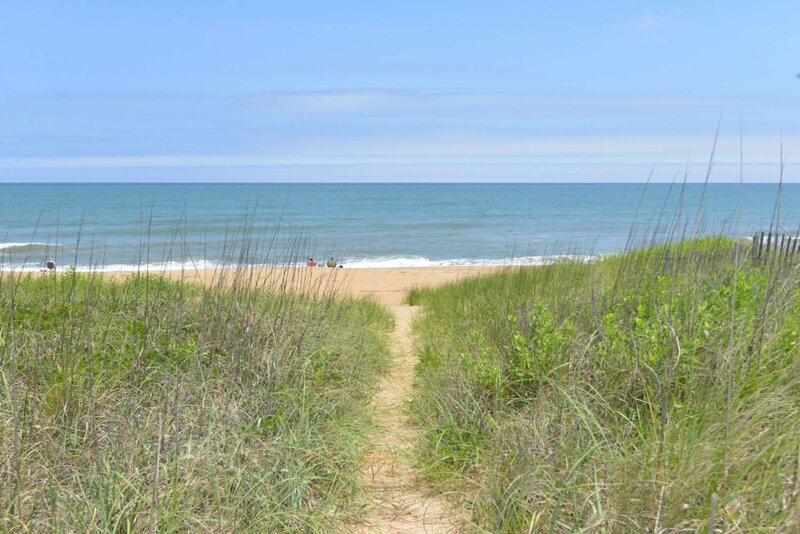 Very well thought out for family needs—great updates with a cool beach cottage vibe! Beautiful home! Prime location!! Owners were very attentive! We can't wait to return! I think the house was great! None. It was better than advertised, and we could not have had a nicer time. Always a great time. Convenient location to many stores/restaurants. We loved the round dinning table. Great for large groups. The Miller Cottage was perfect for our vacation. No problems! 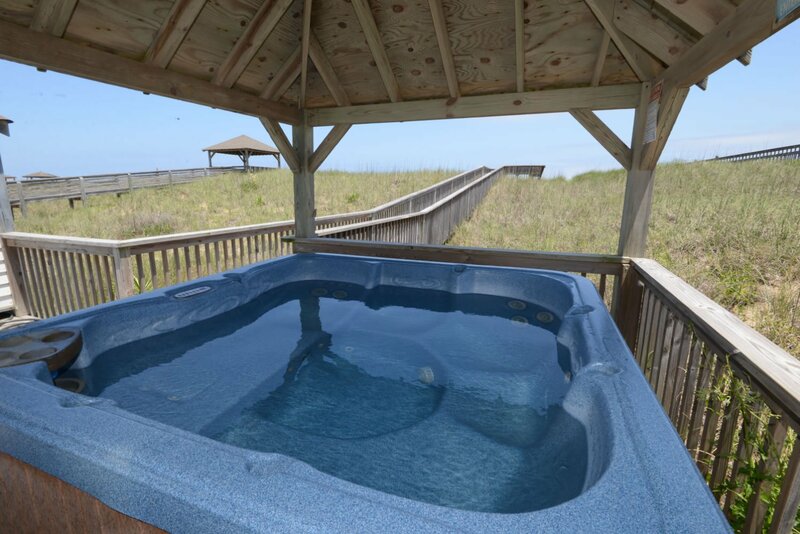 If you love older beach houses with LOTS of room then this is the beach house!!! It was lots of fun for the family and friends that came along and plenty of room so you weren't on top of each other. 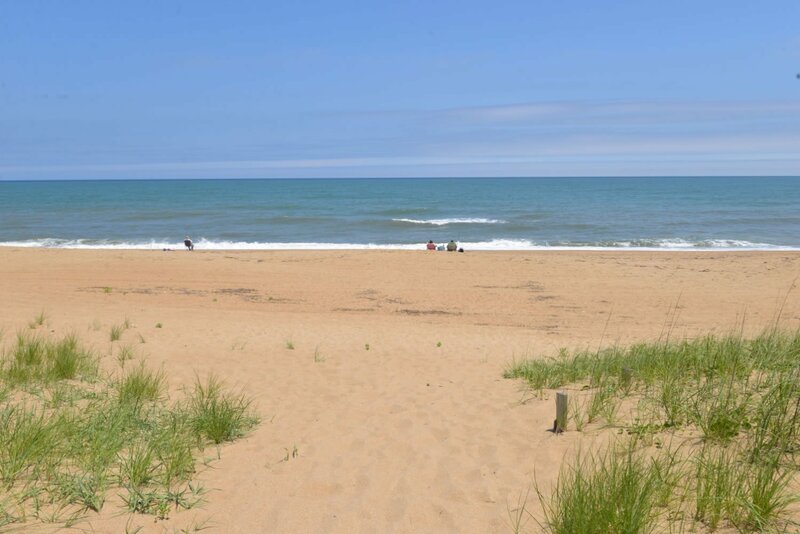 Being on the beach and having a pollen those days when you didn't want to go to the beach was perfect. At night the hot tub was used every day and had lots of fun again!!! 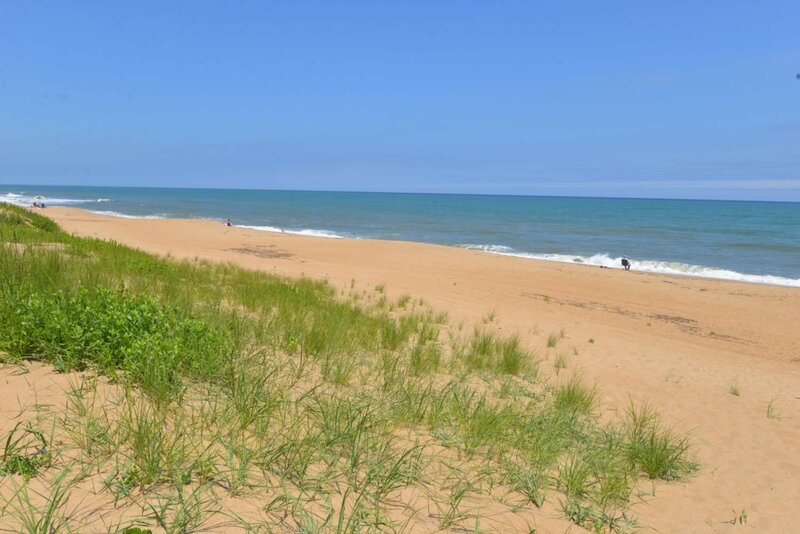 This home is old style beach house with plenty of room and space. 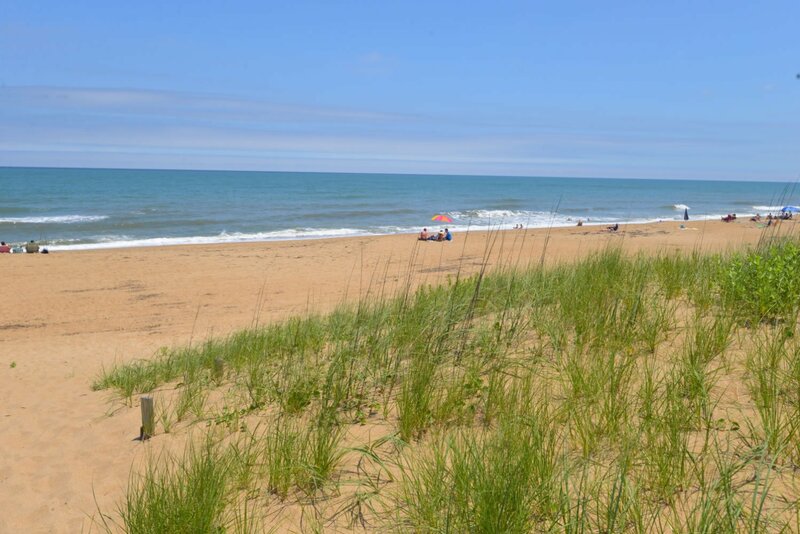 It is in an excellent location to all shopping and restetraunts. 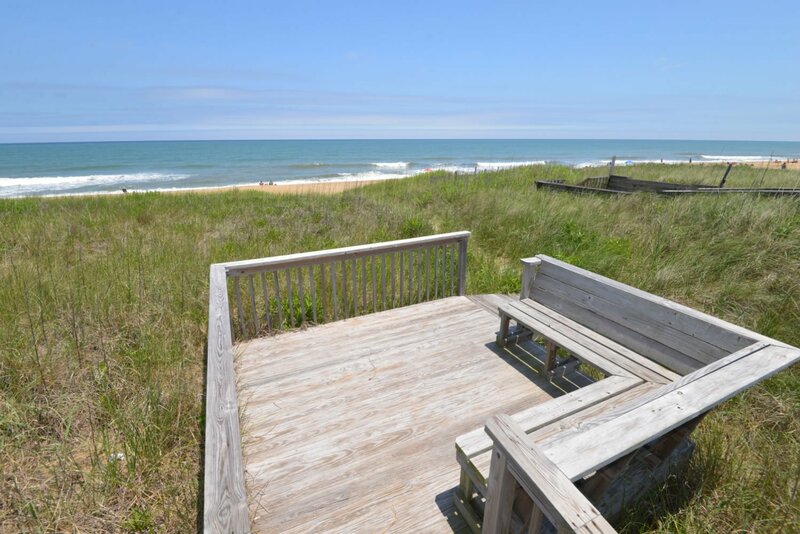 If you like older beach houses with lots of room this is it! Great house!!! 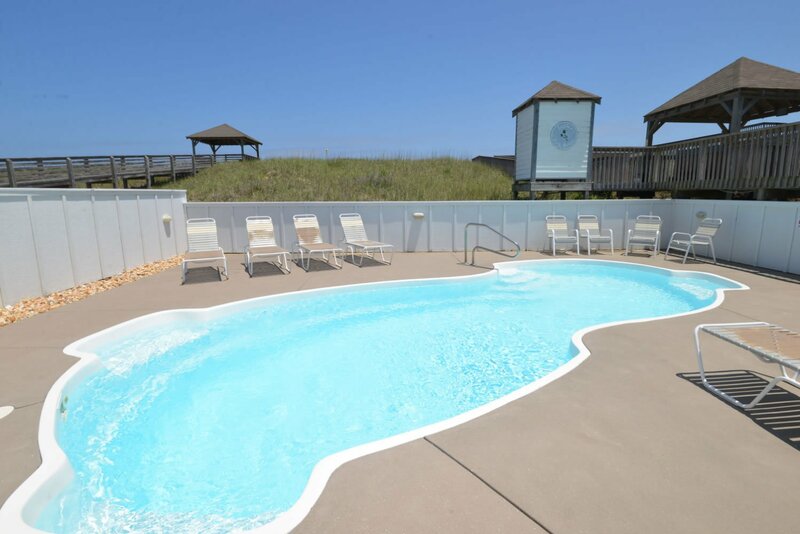 Great pool and walkway to beach, enjoyed tvs in all rooms, liked the clothes line to dry towels. Great location, great gas stove. Swimming pool on rough ocean days was enjoyed by all. 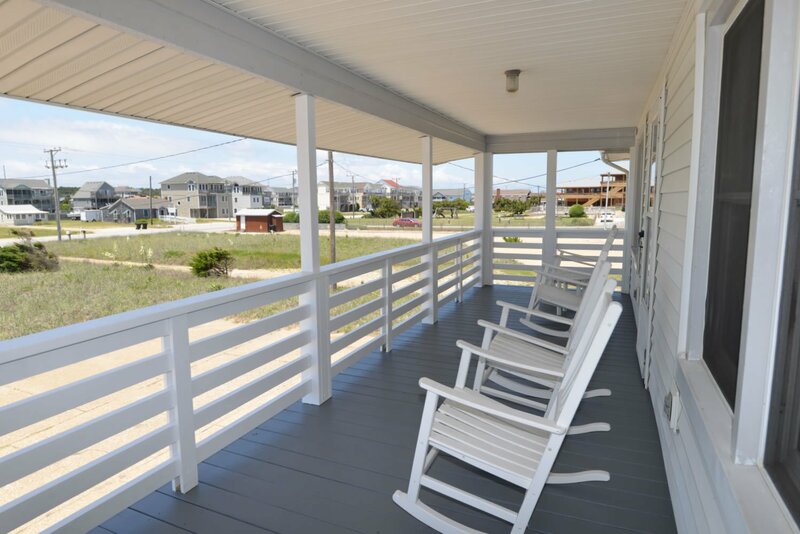 We needed a large rental home to accommodate a family vacation - Miller's Cottage provided ample space and was beautifully furnished, maintained, and had multiple accouterments. The cottage enabled a great vacation experience for everyone in our party. We truly enjoyed everything about the house. Plenty of room and a great setup with two living rooms. We loved the size of the pool and the hot tub. We really appreciated the board walk to the beach and the bench overlooking the ocean. The house was awesome! We had plenty of room. It was clean, we had a great time. This is a super house, especially for a large family. 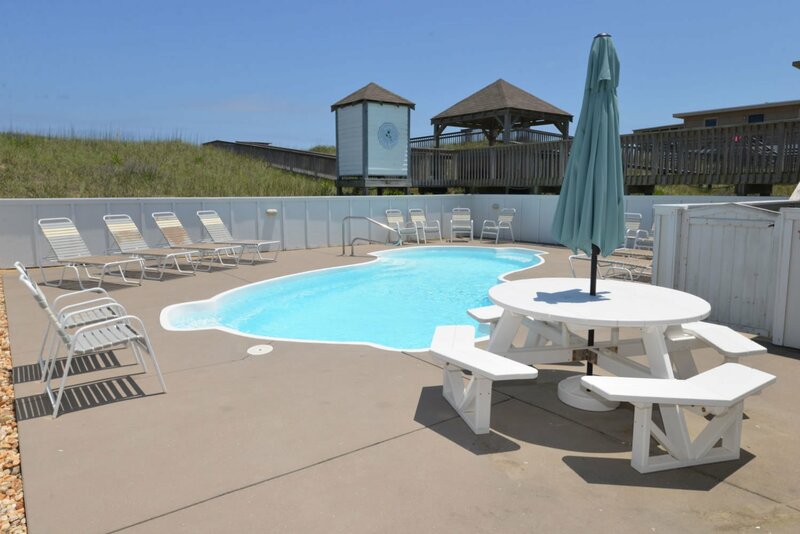 It's location in Kill Devil Hills puts it close to everything you might need during your stay.